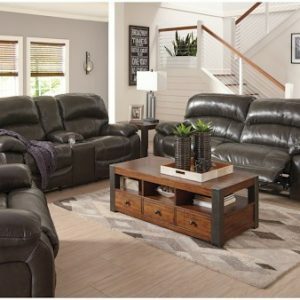 Add a new level of comfort and class to your living space with the Webster reclining collection at an incredible value price! 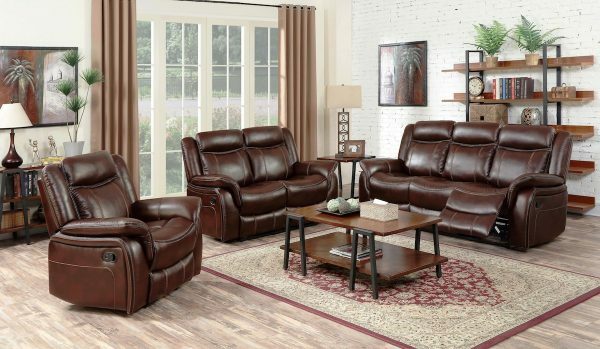 Sink into the rich mahogany upholstery and be cradled as you push back into the pad over chaise style recliners. The elevated design of this group features bold contrast stitching, and the sophisticated black piping trim will accent most any decor. 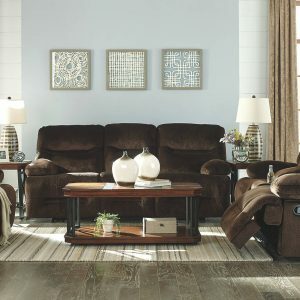 The sofa and the loveseat both include two recliners each. Add the single recliner to finish the room. 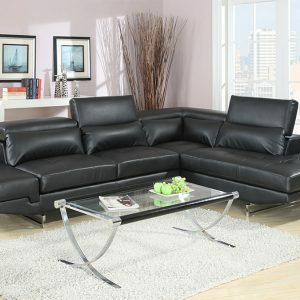 All have pillow armrests for extra support and comfort.